The black and white image below was captured at the former Texas Western College of Mines campus (now University of Texas El Paso) with a medium format Kodak Medallist. The other digital images shown here were taken with an Apple iPhone. 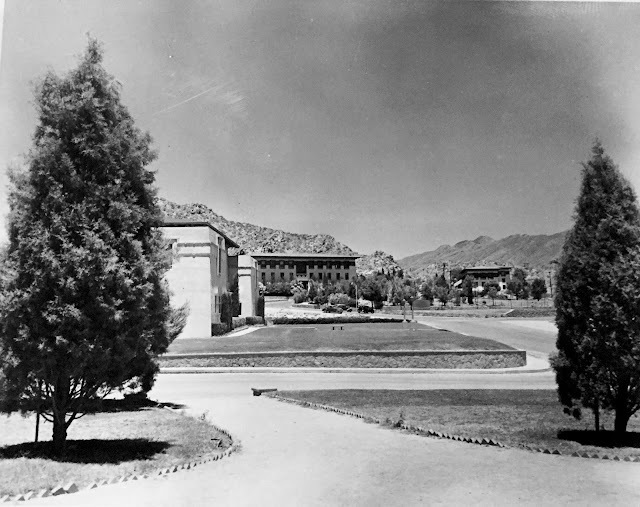 Standing in front of Hudspeth Memorial building (was a dorm and now houses English) with Cotton Memorial on the left and Old Main in center rear, dad's image reminds of what a radical change this is compared with today's center of campus, especially since the Centennial Plaza project is complete. What a change! Compared with his image from the mid-40s, the grade in front of Cotton now runs several feet below the entrance to Cotton (which now has several sets of steps), and the Union has not been built in addition to the Main Library and the Liberal Arts buildings. Usually, such images can be dated by vehicles, so I'm going to ask my resident authority what year the cars are in this picture. I'm guessing my dad took this picture before his trip to the Western National Parks (pre 1950). Today, the campus has a wonderful greenscape with water features now encompassing an area previously taken up by the Geology Building (was main library), and an older knoll that fell away from the entrance to the Union Theatre. That knoll is now a confabulation of boulders tumbling down to the green pitch. A knoll where I once sat upon its green, played my guitar, and sang the songs of Joni Mitchell. My father went on in-town photographic journeys with a friend named Mr. Miller. 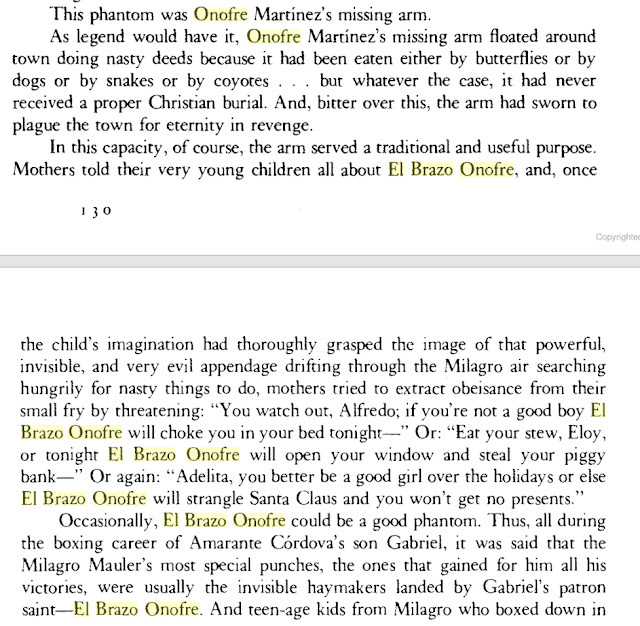 Miller worked at the El Paso Herald Post and was a bit older than dad. 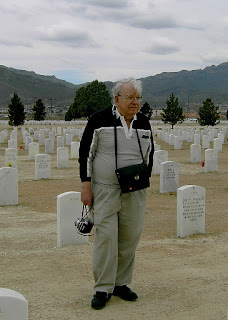 After Mr. Miller died, I accompanied dad to visit his widow, so dad could help her value her husband's photographic equipment collection. The Millers lived in a big house on North Loop, near Farmer's Dairies, and they had two dalmatian dogs. I think I was 7 or 8 at the time. Today, I have dad's two Medallist cameras, which unfortunately use Kodak's proprietary 620 film and not the more readily available 120. He also left a nice Leica R4, which he traded for using a Leica M2. Towards the end of his life, we both agreed it would have been better to have held onto the M2. But, no matter. All are beautiful pieces of the mechanical reproductive arts. Before my father passed away, I gave him the Medallist to hold and examine. The medium format camera is heavy and I cannot imagine hauling it around today. 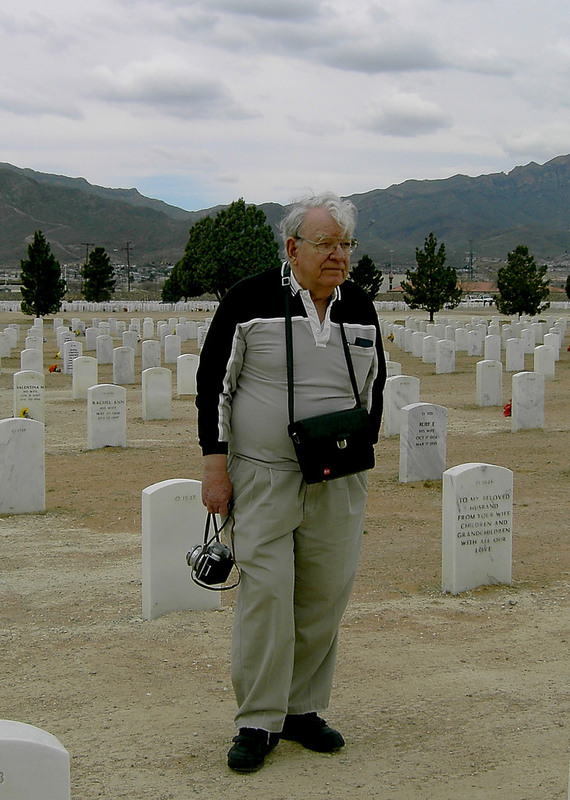 At right, dad is carries his Medallist and Leica at Fort Bliss National Cemetery to visit the grave of his brother, Clinton Wesley Jackson (1927-2006). At the time dad was 80, and later died in February 2015.